Mental conditioning is now seen by many to be as critical to sports success as physical conditioning. And for parents eager to ensure their children have a winning edge- as well as a future college scholarship-nothing could be more critical to success. This book offers readers a comprehensive program to gain that winning edge, providing training tips and techniques along with helpful advice to keep in mind while competing. With practical advice on how to strengthen concentration (and when you shouldn’t concentrate), talk yourself into winning, and develop routines that will lead to consistent improvement, the book’s full personalized program will help any athlete gain over time the winning edge in any sport. 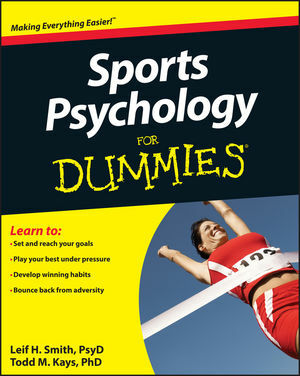 Applicable to not only sports-but business as well-SportsPsychology For Dummies will enhance any competitor’smotivation, focus, and will to win, when facing life’s toughestchallenges.